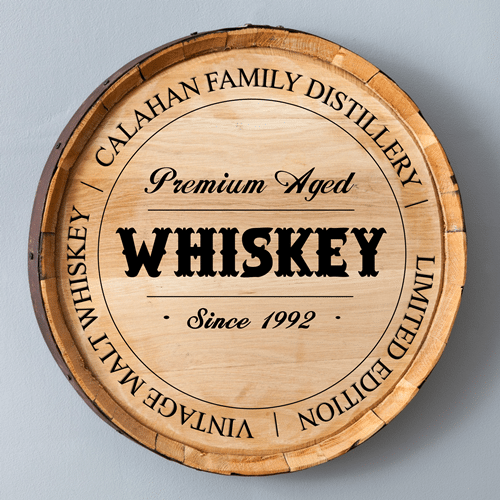 We’ll personalize your whiskey barrel sign with a name and year for no extra cost! Choose one of our five unique designs. Select from the drop down below to view each design. Please note that your personalized name can appear in singular or possessive form. We will personalize exactly how you enter the name. 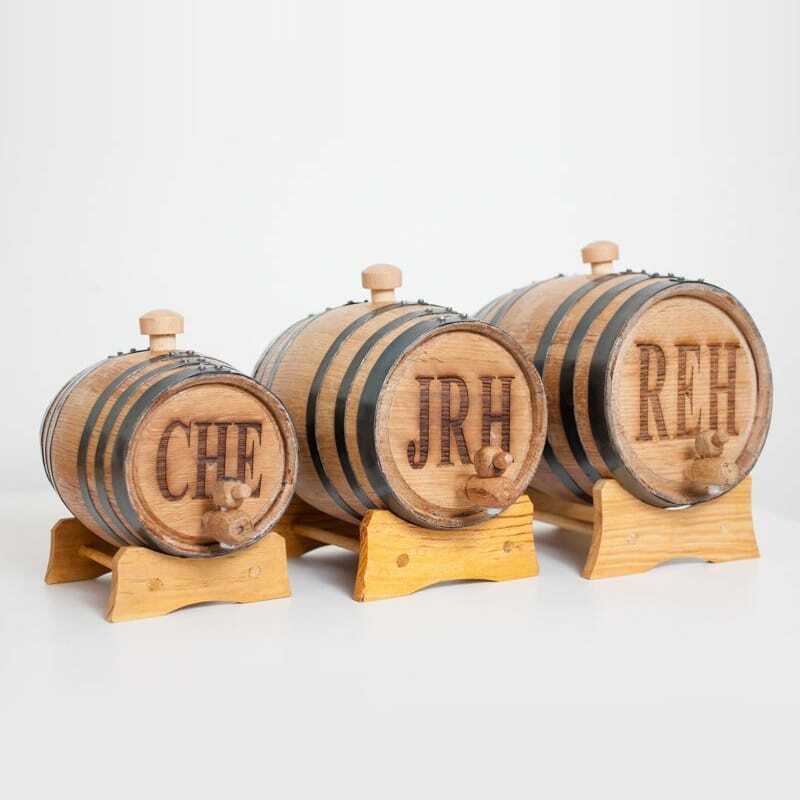 Honor your favorite whiskey lover with our Personalized Oak Whiskey Barrel Head Signs that are made from the face of a real whiskey barrel. This heavy duty sign is personalized with both a name and year. The best part is that since the signs are made from real barrel wood, no two will be exactly the same! 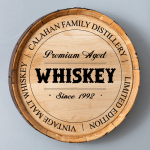 Crafted from the face of a full-size oak whiskey barrel. Measures roughly 20" - 22" round and 3" - 4" thick. Aged metal hoop wraps around the sign's perimeter. Due to the weight & size of this product, it is not eligible for the free shipping offer. My friends and I were going on a bourbon tour for our friends 40th bday. 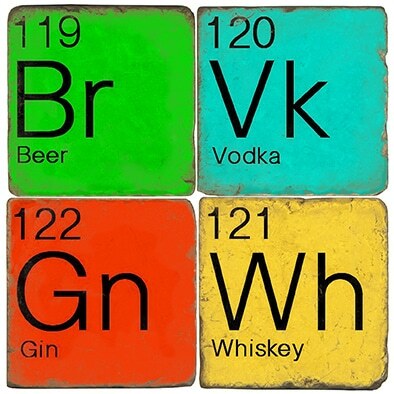 He has always loved bourbon so I figured this would be a great gift from all of us. He loved it. 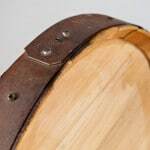 I believe it is made from a real barrel as they claim. It is a little heavy but well made. I would definitely buy this again for another friend or family member who enjoys bourbon.